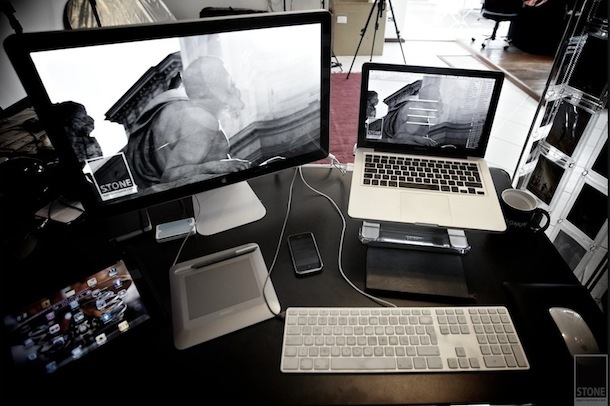 This is a great Mac setup from Flickr: a 24″ Apple Cinema Display is hooked up to a 13″ MacBook Pro. There’s an iPad and iPhone in there too. All Apple, all the way! 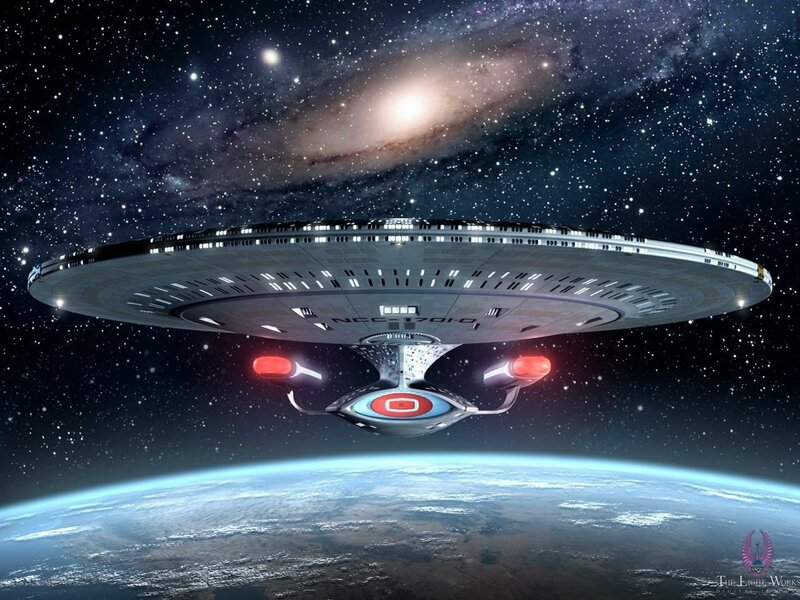 Looks like a picture of the Enterprise-D from Star Trek: The Next Generation is the wallpaper on the iPad. Anyone have a link to that wallpaper? Looks like his keyboard is as dirty as mine!